Will Sport Shoes go well with your ROM Gown? He is a fan of the famous Jordan shoes and he told us that he has over 300 pairs of shoes under his collection. Some of which are just for collection and showcase, thus not to be worn. 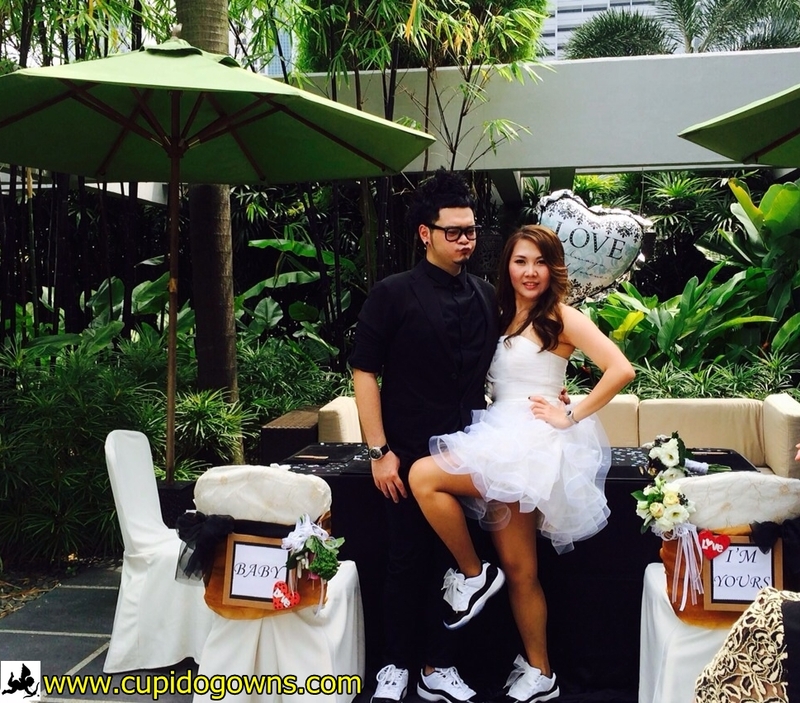 And she told us that they are both going to wear the same design of Jordan sport shoes during their solemnisation or ROM, which is what we called it here in Singapore. 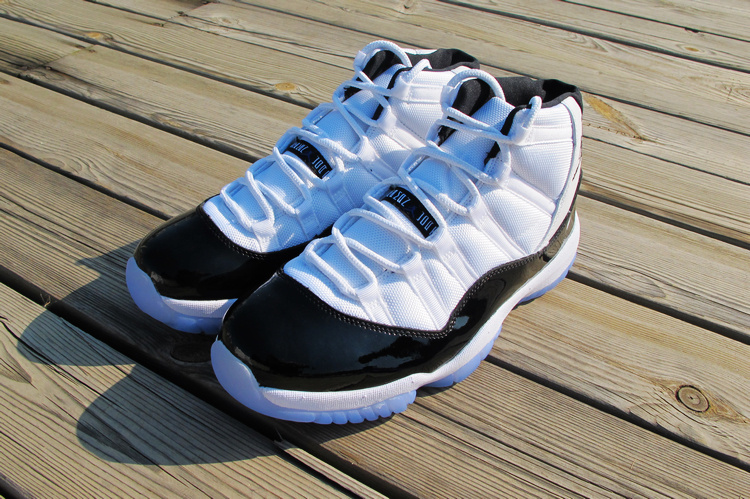 One of the many designs of Jordan Shoes. A little skeptical whether the Jordan shoes that they mentioned will go well with our ROM Gown, we went on to help Rebecca shortlist some funky designs that we have at our showroom based on our imagination of their Jordan shoes. Rebecca wearing our Wavy Short ROM Gown to match their couple shoes. When Rebecca put this ROM Gown to try, the moment she walked out of the fitting room, they both agreed that this is The Gown for their Big Day. To have a better showcase of their Jordan shoes, Rebecca had requested to shorten the ROM Gown. To accord to her request, we have shorten it visibly and yet not sacrificing the puffy layering of the gown. Up close look of Rebecca wearing our ROM Gown matching her Jordan shoes. Don’t you agree that Rebecca look really wonderful in these combination? She indeed is. So Friends out there whom have not procure your ROM Gown, wait no more to check with our in-store experts to find your Dream Gown at our showroom. 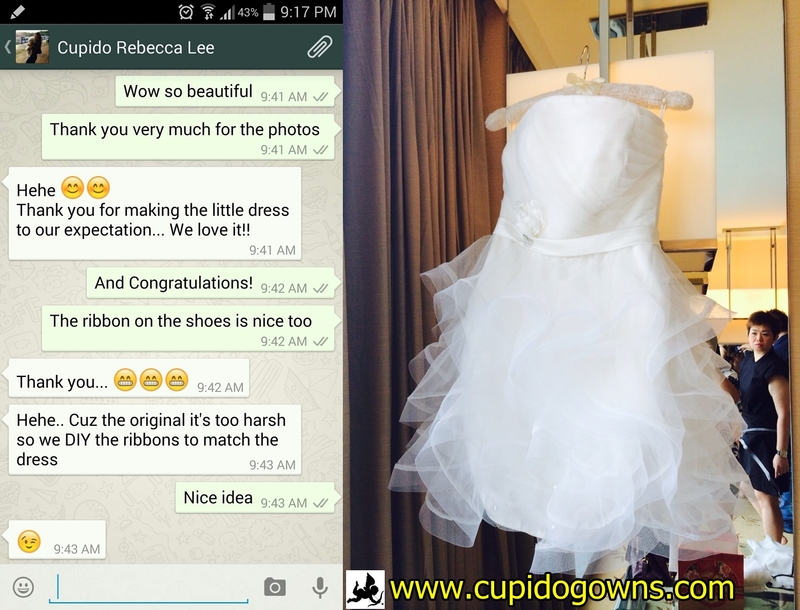 Do contact us via this link: http://www.cupidogowns.com/contact-us/ to book a viewing appointment with us.